Very cool place, not far from the Pier. They have a nice restaurant, scooter rental and shuttle to the Pier. Friendly staff, highly recommended. 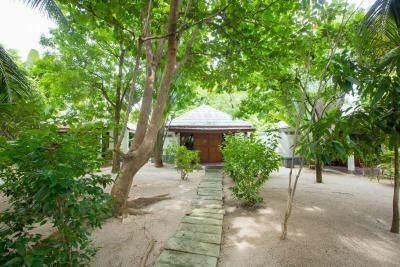 Specious rooms, we stayed at one of their garden bungalows & it was pretty specious. They clean it everyday. Nice location. The hotel is close to markets, shops and cafes. Good on-site cafe with good staff. 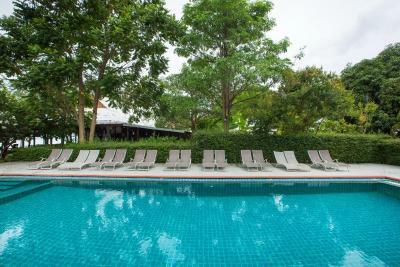 The territory is green with lots of trees surrounding the hotel’s pool. 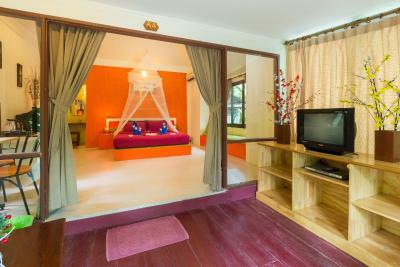 I would recommend to book bungalow or cottage, as standard rooms seem to be less clean and comfortable. Staff were great and the food was ok, that was about it. 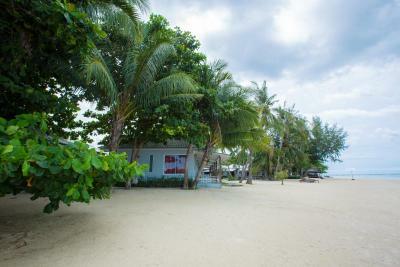 Nice bungalows and beachfront Villa was great. Onsite restaurant great! Stuff is amazing, super nice and helpful!! 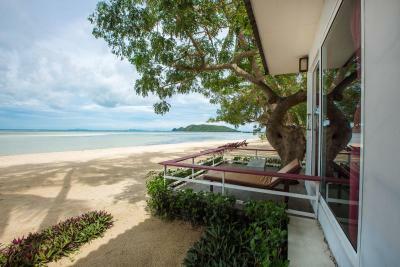 Really nice view from the sea view villa. 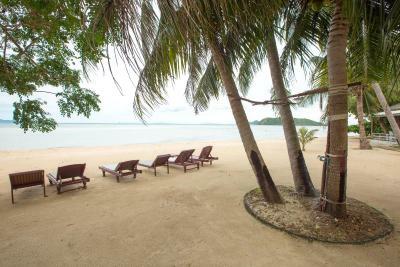 Beautiful beach, definitely worth the upgrade to the beach villa. Close to restaurants and bars. Onsite restaurant was good and affordable. Would absolutely stay here again. Real life is better than the pictures, and not sure why some of the reviews were negative. The locational quite and nice. Restaurants are in walking distance around 10 min. The beach bungalow was nice and we had everything we need. 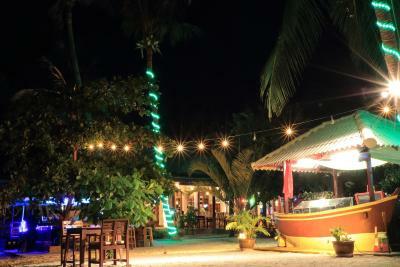 The restaurant provided good food, Thai and western style. So far good option if you want to be far away of the party crowds of Haad Rin.... nevertheless the provide taxi to the Fillmore party and a free shuttle from the hotel to the pier which you actually can also walk! But depends on your luggage. 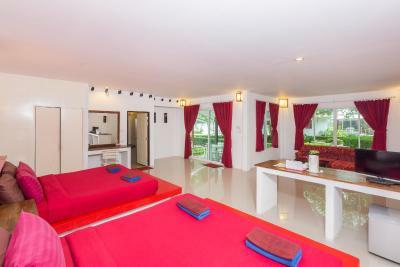 Da Kanda Villa Beach Resort This rating is a reflection of how the property compares to the industry standard when it comes to price, facilities and services available. It's based on a self-evaluation by the property. Use this rating to help choose your stay! 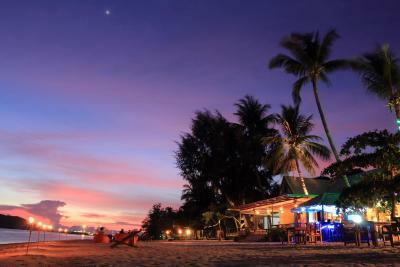 One of our top picks in Thong Sala.Da Kanda Resort is located on Thongsala Beach in Koh Phangan. 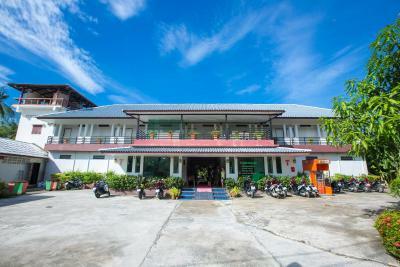 It offers a massage room, an outdoor swimming pool and air-conditioned rooms. Free Wi-Fi is available at the restaurant. 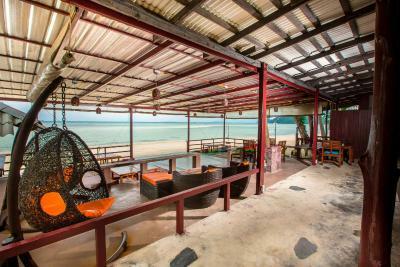 Da Kanda Villa Beach Resort is 2,650 feet from Thongsala pier and a 5-minute walk to Thong Sala Town. A free 2-way transfer from Thongsala Pier is provided. 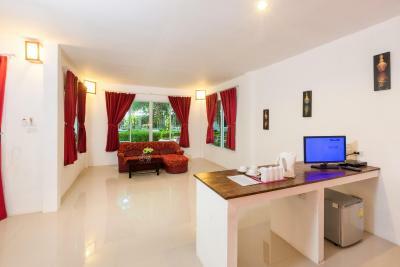 Rooms at Da Kanda Villa are simply furnished and come with a private balcony, a cable TV and a mini-bar. 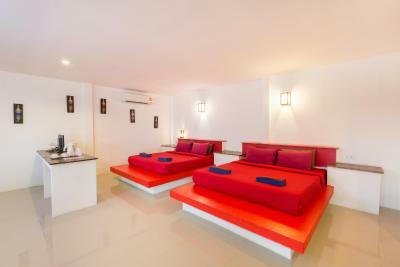 Rooms offer views of the sea or pool, and have open-style bathrooms with bathtub. 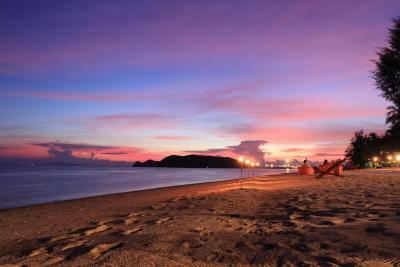 When would you like to stay at Da Kanda Villa Beach Resort? 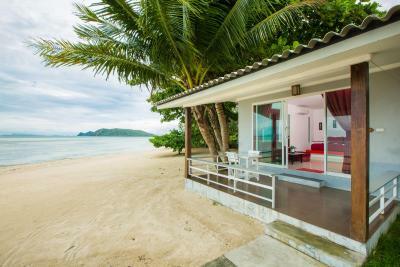 These villas offer garden views from the balcony and is just a short walk to the beach. These rooms have a private balcony offering garden views. 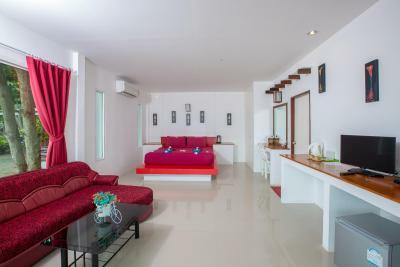 This air-conditioned room features a balcony, cable TV, safe and minibar. 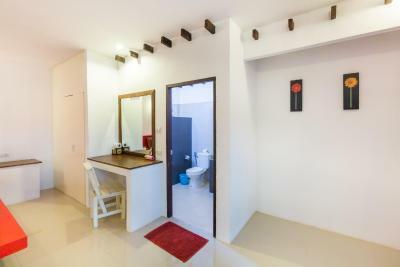 Shower facilities and bathtub are included in a private bathroom. 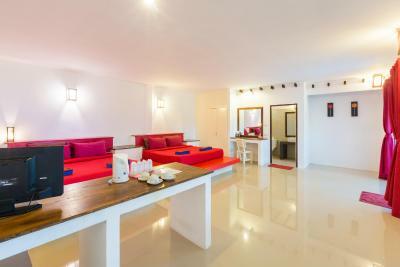 House Rules Da Kanda Villa Beach Resort takes special requests – add in the next step! 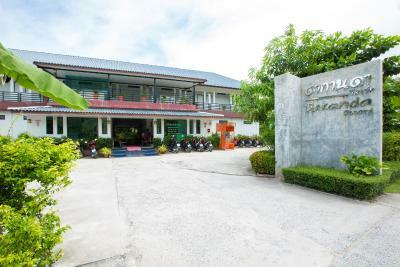 One older child or adult is charged THB 690 per person per night in an extra bed. 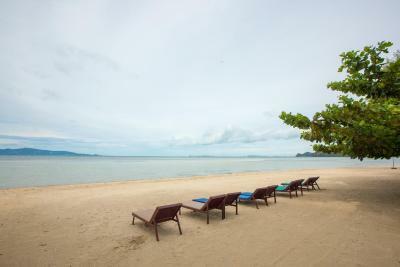 Da Kanda Villa Beach Resort accepts these cards and reserves the right to temporarily hold an amount prior to arrival. Guests who wish to make use of the free 2-way transfer from Thongsala Pier have to inform hotel directly of their arrival date and time. Please note that the name of the credit card holder must be identical to the guest's name. Otherwise, guests are requested to pay in cash. 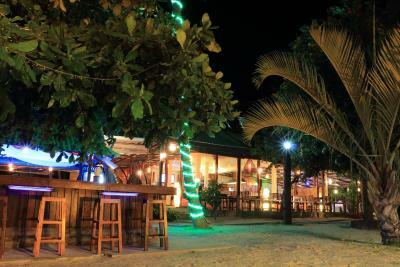 A security deposit of THB 500 is required in cash upon arrival for incidentals. This deposit is fully refundable upon check-out and subject to a damage inspection of the accommodations. Unfortunate deal by Mother Nature on the beach front being shallow and not swimmable (no fault of the hotel). Extremely weak air conditioner that couldn’t cool the room, would’ve been better off with an electric fan. Most of the property was old and falling apart. Bar/restaurant staff were barely interested in serving. 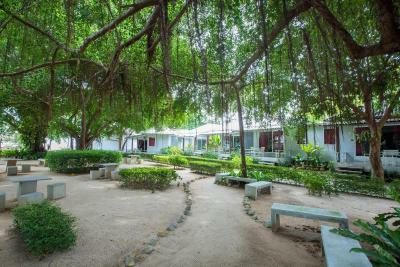 Beautiful grounds. Front reception staff (young lady), although got my room booking wrong at check in, was very helpful and relocated us to a bigger room the next day. Very convenient on site scooter/motorcycle rental. Found the location was quite a trek to find 'something'. Plus side was that it was quiet. Staff wasn't good at english and at the restaurant they constantly misunderstood us. Not so flexible staff. We got better price and breakfast included when booking through bookings.com instead of doing the booking direct in the reception. Way to dark in the bathroom. Wifi doesn't work well. The deluxe cottage was a nice place to stay at and we ended up staying more then one week there. 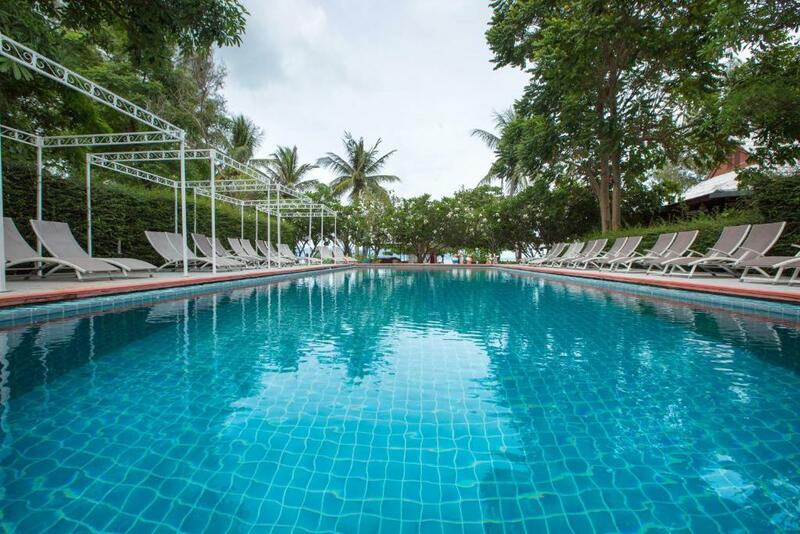 Nice resort with pool, beach, restaurant. 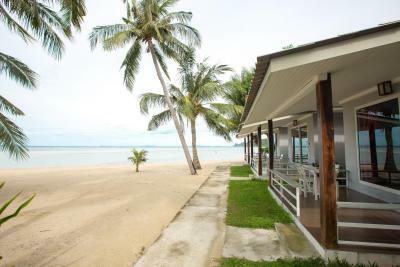 The deluxe cottage was spacious, had a fridge, AC (which was a little bit to weak for the size of the room), spacious bathroom (to dark though), nice bed, bike rent at the property, laundry service, walking distance to Tong Sala and pier if you like. Location and staff and food was excellent. Give more attention to the swimming pool. relax chairs and the floor can be cleaned a little better. 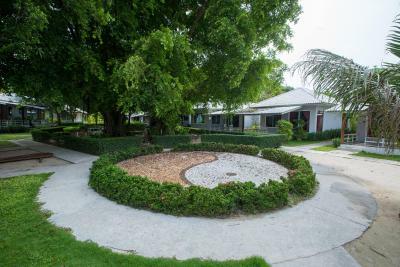 And with a little more maintenance in the resort, it can become a better place than it already is. They could explain better the difference between beach houses and the main hotel building on the web site. Everything. 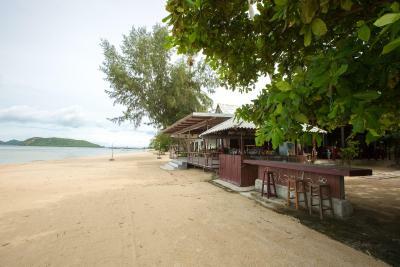 Fantastic beach location as I was taking kite surfing lessons right infringement of the hotel. On site scooter rental was very nice. The restaurant has a decent mix of Thai and Western food. Great pool table, music and location in the evenings. The front desk lady who thinks she can yell at their customers for things she happens to misunderstand & give wrong information about. Her behavior was totally unacceptable regardless of the reason. Even if a customer misunderstood this will not give her the right to yell at people. Hotel is right by the sea with a pool yet the pool is also not very clean, blurry may be due to too much chlorine. We had a bad experience due to the front desk lady other than her rest of the staff was very helpful. We was charged 250 baht each for breakfast on booking.com there was nothing on the breakfast menu that come to that amount. Swimming pool is very old and needs a refurb is very outdated. A lot of money for what you got. 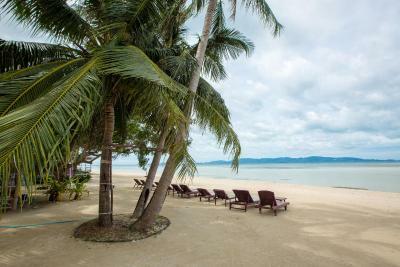 We booked a beachfront villa which was confirmed. On arrival we were told that we had been upgraded. In fact we had not and they claimed they had not got one available as another guest would be arriving soon and they were to stay in the Villa. We could not understand why the latter guest were more important than us. 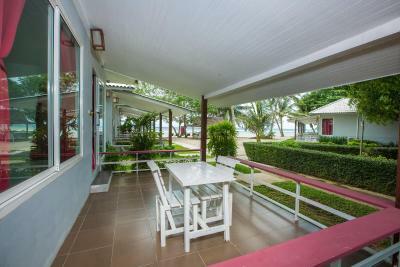 Eventually we were told we could have a beach front villa at an extra cost, when we went to move rooms it was the same as the room we were in and not beach front. Fortunately we had not paid as the receptionist, who was very disrespectful, was willing to take out money. Another guest was demanding there money back and checking out early as the had damp and a mouldy mattress. Our room was clean. On checking out, other guest were greeted with smiles and goodwill and we were simply told to sign for our deposit. Why we were constantly treated like this I do not know. You shall pay a deposit of 2000 Bat while checking-in. It is not a problem, but I would prefer to be informed about that in advance.